It is very absurd that not many discuss the effects of Kratom in our body. If you ask us why there is a substantial reason behind it which we would like to discuss in the following passage. If you have been or still a user of Kratom or Kays Botanicals, you would know the effects of Kratom. If you do not know the effects, you can be open to ask us. There are indeed some portions that we cannot answer you which are because of the restrictions we have imposed on ourselves because of the FDA’s policies. 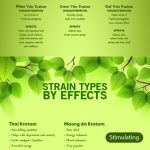 What are the effects of Kratom we can’t discuss here? It is known that the Food and Drug Administration specifies and regulates the norms that each and every pharmacy has to obey and follow. In that context, the FDA had emphasized to not give away every detail relating to the medicines. FDA also is the in charge of what Brands and companies should reveal about the effects of the medicines to the public. FDA shares its compliance guide which will have all the necessary details that the marketing team has to take care while selling their medicine. They are some strict guidelines which handcuffs the manufacturers by not saying everything to their customers. If you expect the same thing to be said in simple terms, we as a botanical vendor, we can’t showcase what are all the things that Kratom could do to your body. We can’t publish things like it can cure or treat certain diseases at the same time it could trigger some kinds of allergies etc. for instance. Keeping this entirely aside, as a long time user of Kratom, you would know the nature of the product clearly. It is certainly not our part to emphasize the effects of it which are uncertain and rare. Our job is to serve you with good Kratom and we would excel in that as promised. What are its effects that could be discussed over here? There is point number 4 in the FDA released press note that discusses implied disease claims. The point speaks about the diseases that are caused by Kratom. You may not worry looking at the terms like “Disease” since even minor health issues like sleeplessness is treated as a disease in FDA terms. If Kratom has one reaction of soothing sleep, it falls under the category of disease. You must understand the meaning of these terms could vary according to the context. Sleep is treated as a cure in some cases and a disorder in other. 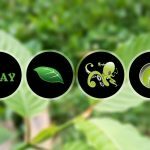 Kratom users who have benefitted from its wide number of virtues could be the right ones to enlighten the others. According to the except of what FDA had released, there are some things that pharmacies or manufacturers could publish in order to clarify the basic doubts of the consumers. But that does not favor the individuals who haven’t even had the slightest experience of having Kratom. All we could publish is a very general description that doesn’t give a tiny idea of what actually the product is. All we wish to say about Kratom is, once you start having this you would notice remarkable benefits in your health and diet within some time. What must the responsibility of the users? As we had already said that our hands are cuffed, it is you who is the master of your life and makes decisions that could benefit in the near future. You can discover about this incredible plant which could be the turn of events in your life. It could influence your diet, synchronize your energies. The indisputable fact is there are thousands of customers whose numbers are increasing every year, who are showing interest in Kratom. We would recommend that talk to the consumers before taking the Kratom, they would express their first-hand experience and what they benefitted from the product could facilitate you to make the decision on having Kratom. Once you made the decision, don’t hesitate to do some research on the sellers. There are only a few legitimate sellers who sell good quality Kratom. Do not fall for unsolicited emails and ads. It is highly recommended to scrutinize whether your vendors had include lab-testing in their business model. That is the best thing we could do while staying in compliance with the FDA policies. You are free to do the required research on Kratom and make the choice. Consult the consumers since there is a possibility that you could’ve omitted in the process. After you are done with the process, we wish you have the best Kratom and find great benefits with it.